Madrid is one of the most exciting cities in the world and therefore, there are many things to do and to see as well as many neighborhoods to discover with their own history and secrets. The best way to have a truly experience of the city is by taking a walking tour with a local guide who will not just show you the most important places, but also will share with you the secrets and anecdotes of how it came the fantastic city it's today. 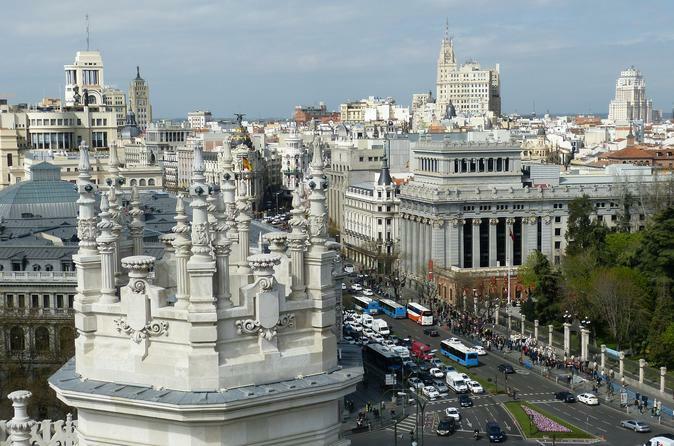 This 3-hour private walking tour will combine two of its most recognized neighborhoods, the Madrid of the Habsburgs and the Madrid of the Bourbons. You will have the opportunity to discover most of the secrets, history, buildings, and spaces in Madrid related to the 16th through the 19th centuries. From Oriente Square, you will see the fantastic Royal Palace which happens to be the largest in western Europe. Then, head to the Cibeles Square, where you will see a modern day Town Hall as well as the famous 18th century fountain where Real Madrid fans celebrate their trophies. You will also have the opportunity to enjoy places like the famous San Miguel Tapas food market and explore the beautiful buildings on the Gran Vía. All tours can be customized to meet your specific interests.